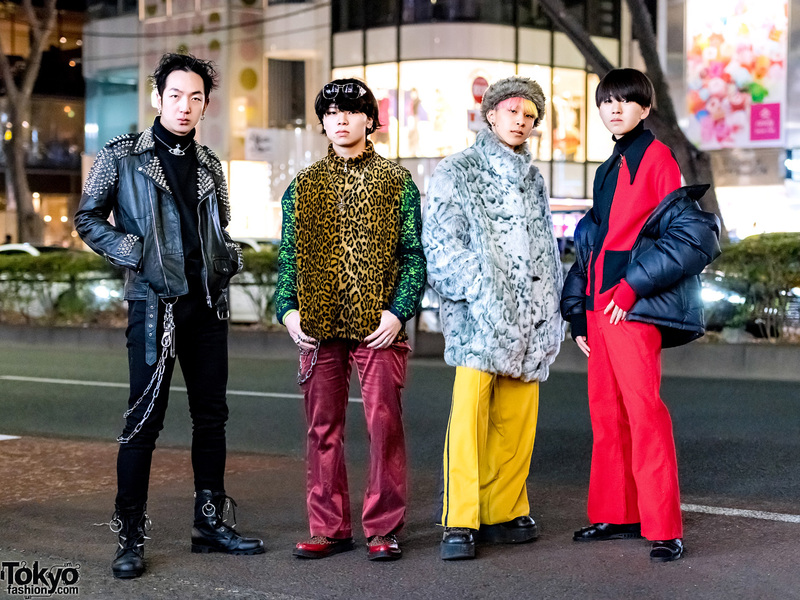 Harajuku guys sporting stylish individual outfits while out and about on the street one evening. Harajuku hair stylist in a pink retro fashion style while out and about. Harajuku girl with twin braids wearing a long sleeve lace top, cloud print skirt over satin pants, platform shoes, handmade cowl scarf, and quilted Flappy and Choppy sling bag. 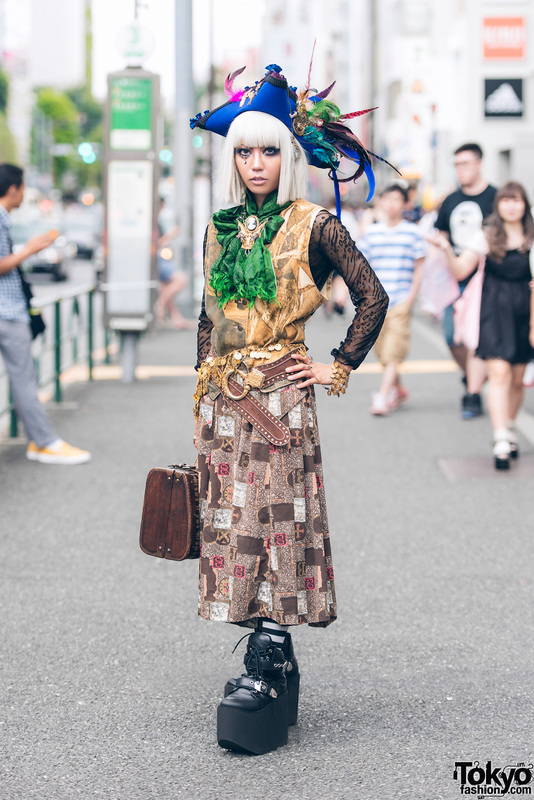 Harajuku sculptor in vintage steampunk street fashion with printed vest over long sleeve lace top, printed midi skirt, platform boots, and accessories such as an embellished pirate hat, cravat neckerchief and vintage suitcase.